Now the reacher preferred by professionals is available to everyone. 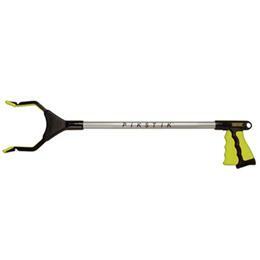 PikStik Pro is a multi-purpose reacher designed for all and uses. Our patented design is strong, lightweight, safe and availble in multple sizes. Designed to pick up objects from any angle, our patented jaw system rotate 360 degrees to grab from any angle and open 5 1/2" to pick up larger objects than any other reacher.